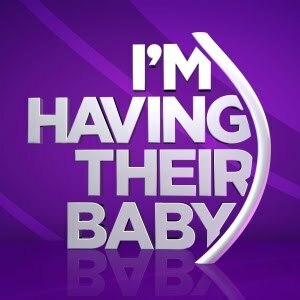 On July 23rd of last year, Oxygen premiered its six-part docu-series I’m Having Their Baby. Each episode of the show follows two expectant mothers who have chosen adoption for their unborn children. Season 2 of the show began last month. I personally began watching a couple of weeks ago when I purchased the first season On Demand. I am almost done with it now, and I must say that I’m hooked. This show is not about adoptive parents. It is about prospective birthmothers, some who ultimately choose adoption and a few who do not. Filming usually picks up when the expectant mother is about seven months pregnant and ends shortly after the baby’s birth. A brief catch-up segment some months later concludes each episode. I am not a birthmother; I do not understand how it feels to place a child for adoption. Thus, I can’t really say whether or not this show does a good job of portraying the experience. But I can say that as an adoptive mother, I do like how the birthmothers themselves are portrayed. Of course, I do my best to defend not only Rosemarie’s birthmother but birthmothers in general. I explain how in my whole adoption experience, almost every prospective birthmother I met considered adoption for one very simple reason—love. It makes sense that those who haven’t been involved in adoption and don’t have the same experiences as I have likely never met or spoken to a birthmother. That is why I am so glad Oxygen created I’m Having Their Baby and why I hope it continues to air. The show gives adoption outsiders a glimpse into the lives of these women, these brave women who have to make such an impossible decision. I hope that by watching, people’s negative perceptions of birthmothers will change. Perhaps by witnessing the struggles of the birthmothers on this show, viewers will start to learn that many preconceived notions about women who choose adoption are simply not always true. Here are just a few of the birthmother myths dispelled by I’m Having Their Baby. They are all teenagers: “So was her birthmom really young?” I can’t tell you how frequently I hear this question. For some reason, when people picture a birthmother, they see the wide-eyed, sixteen-year-old girl, her young, petite frame interrupted by her basketball of a belly. Some birthmothers do fit this description. In the first season, three of the twelve mothers showcased were teenagers. But the other nine were not. There was a 21-year-old college student named Megan and Sidney, a recent college graduate. We saw 27-year-old Jamie and 29-year-old Lindsay both already raising children on their own. When Anthony and I met our adoption attorney for the first time, she explained that today, the typical birthmother is in her late 20s and already parents one or more children. While we were waiting, we received phone calls or emails from over sixty prospective birthmoms. Of the 38 that shared their ages, 10 were teenagers, 22 were in their twenties, and 6 were in the thirties, the oldest being 39 years old.Birthmothers come in all shapes and sizes. They are irresponsible: Everyone makes bad decisions. In some cases, a birthmother did make a poor decision that led to her being pregnant. However, if you listen to these women during their interviews, it is evident that they are taking ownership of their actions and making a choice that they now feel is the most responsible. They have clearly sat and thought fully about this decision. They discuss the different options they considered. In Episode 3, Sidney explained how she considered abortion but believed giving another woman the chance to be a mother was a much better decision. They list the reasons they chose adoption. In the second episode, Amanda explained how she already struggled financially raising three children; she believed they and her unborn child would suffer if she chose to parent. And they explain why they picked the adoptive family. During the fourth episode, Brandalynn tell us about her childhood with a single mother and her desire to give her unborn child a two-parent home. Perhaps they did act irresponsibly once; perhaps they didn’t. But choosing adoption does not equal irresponsibility. They don’t care about the children they place for adoption: As a mother whose daughter will one day likely ask me if her birthmother loved her, I find this myth the most upsetting. The love birthmothers have for their babies is immeasurable. The carry them for nine months; they feel them kick inside their womb. Despite their attempts to stay detached as explained by many of the women on the show, the moment they hold their newborn babies in their arms, they fall deeply in love. They want so much to keep them; they yearn for the ability to do so. In the first episode, we watched Mariah sob outside the hospital room where her son waited for her to say goodbye. We watched Jamie cry her way down the hallway after leaving her baby with his adoptive parents. After she gives birth, we see Brandalynn yearn for her older son, a distraction from the pain she clearly feels watching the adoptive mom cradling her newborn. This pain does make them doubt their choice of adoption because they so badly want to bring home their brand new baby boy or girl. They have to fight every instinct. They have to fight every pang of love because they believe adoption is the best, not for themselves, but for their children. They break their own hearts to give their children the best life possible. In this way, they are as much a mother to and have as much love for these babies as any other mother in the world. Of course, I’m sure there are some birthmothers in the world who are not good people. Just as all mothers who parent their children are not good people. However, choosing adoption should never be seen as the reason a birthmother may be considered a bad person. In fact, when making this choice these women are often using the best of themselves to make the decision. I’m Having Their Baby shows that to its viewers. It helps us see the truth about birthmothers. It helps us see their pain, new and raw, and their amazing courage for pushing past that pain to do what’s they believe is best for their babies. We should not judge birthmothers; we should admire them. I certainly know I do and will teach my daughter to do the same.